to provide a home, health and hope. HERE ARE THE CHILDREN AT ALENAH’S HOME IN NEED OF A SPONSOR! Click on the picture for more information about each child. 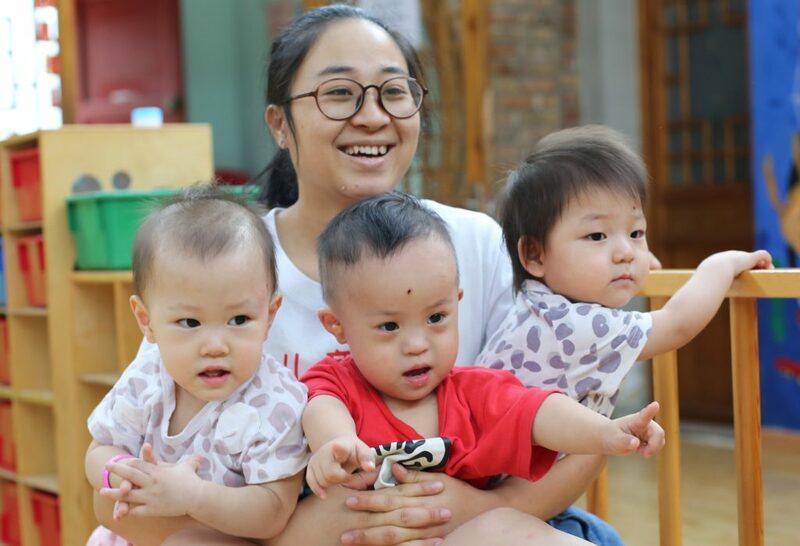 When you sponsor a child, your monthly gift helps provide the essentials that these special children with needs have, nutrition, education, and more, while you connect by constant online updates and a more personal relationship to the child. Janey was able to receive the love, medicine and therapy she needed to improve her health. She was adopted by a grateful forever family who will take her the rest of the way. Tommy recovered from heart surgery and is now a happy, healthy little boy. Here is Brian (Kang Kang) who is without parents and paralyzed. 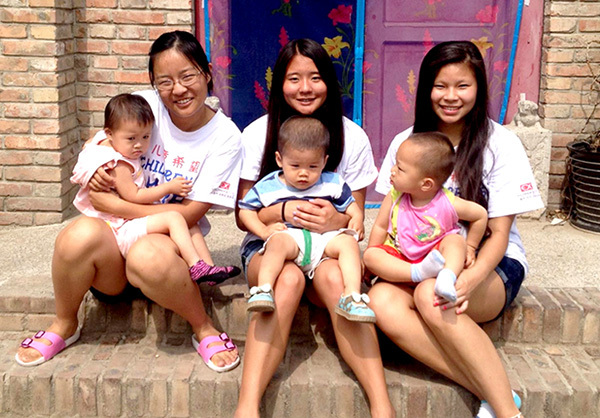 Loved and cared for completely by the nannies at Alenahs’ Home because of sponsors like you. You can check on the Sponsor’s Page each month for updates about your child and all the sponsored children in Alenah’s Home. Aunties, Doctors, Volunteers and Staff make your donations cover everyone. Children don’t get direct cash benefits. Your money goes to what benefits all the children. If your child should be adopted or something similar, your sponsorship could continue with another child you could select. We want you to experience the reality of being connected to a child and their community. Every month you will see the new notices being posted online about your child in Alenah’s Home. There will be photos posted and updates given. You can even send your child a letter through email which will be translated and read to him. You can email your child and express your love and care for them in many ways. Ready to sponsor ? 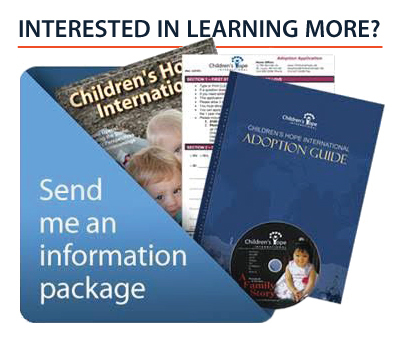 Have questions about sponsoring a child? Why sponsor a child at Alenah’s Home? You Are My Hope sponsorship is unique because we look at all the things that prevent children from surviving and thriving in their world. Then we work within all that is happening in Alenah’s Home to bring all the pieces of the puzzle together to build a better future for all children. We call this our community development approach. Children don’t get cash every month, but instead we pool monthly sponsorship donations and leverage them for maximum effectiveness. Children with special needs have multiple sponsors to meet the costs of their medicine and care. We want to make the community a healthier place to grow up for every child in the community. Depending on the needs we create a vibrant, sustainable future for everyone. 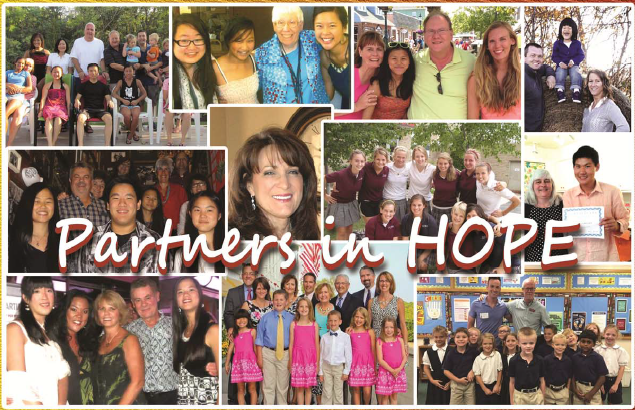 Sponsoring a child through You Are My Hope means that children, families, and communities have a sustainable, comprehensive plan for a bright future. Nourishing food and life-saving healthcare help children stay in school; education lifts entire families out of poverty; economic opportunity creates jobs and secure futures; the love of God brings hope and spiritual transformation. When you sponsor a child through You Are My Hope, you get to look into their lives each month through monthly updates and pictures, but you also get to partner with your child’s community to address the root causes of their need. Sponsorship helps bring them things like healthcare, education, nutritious food, protection from exploitation, economic opportunity, gender equality, and God’s hope. Sponsoring a child is one of the most effective, inspiring, and rewarding things you can do to give hope to children in need. Through Children’s Hope development approach, our sponsorship programs help children find a brighter future. 1. Choose a child to sponsor whose story, interests, and circumstances resonate with you. 2. Every month, your $39 sponsorship donation is pooled with other sponsors to fund programs that benefit your child and their community for the greatest needs. 3. Along the way, you can build a relationship with your sponsored child and your child’s community through monthly online updates, prayer and emails from you to them. Sponsors who have the flexibility and resources can even arrange visits to see their child. By sponsoring a child, you get to watch the impact of your donation on both that child and on his or her community. 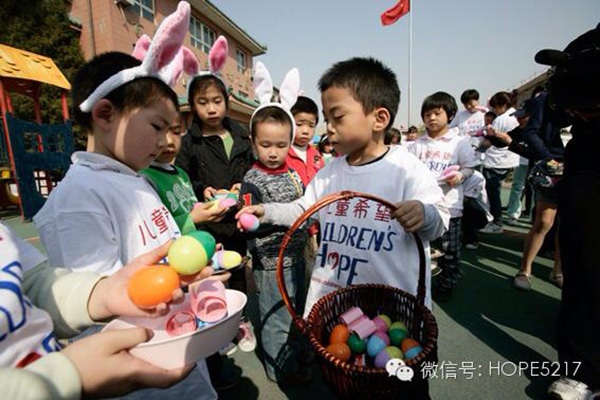 Child sponsorship with Children’s Hope has a huge multiplier effect. We stretch your dollar as far as possible to help lift both your child and their peers into health and hope. In fact, for every child sponsored, 4 other children in the community are helped! Child sponsorship for children at Alenah’s Home is $39 a month and it will go to meet the greatest need of the child and the community..
1. For relationship: We were created for relationships — to be in community with God, with each other, and especially with those who need our help. That’s when we’re most fully alive. Child sponsorship is one of those joyful connections, and it’s a practical way to show God’s love to a child in need. 2. For meaning: Some of you sponsor a child to introduce your own children to global issues. Some sponsor to pass on your values to your children / grandchildren. 3. For effectiveness: Sponsoring a child at Alenah’s Home through Children’s Hope means helping your sponsored child and the whole community out of hopelessness into health and a future. 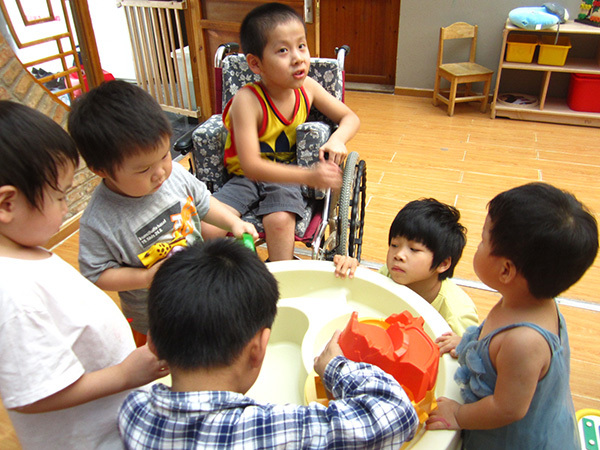 Our child sponsorship work focuses on Alenah’s Home for special children with needs in Beijing. You can rest in the knowledge that you’re effectively helping the greatest in for a child in a community of need. When you sponsor, you get to create a long-term friendship with a child in need. While you can cancel at any time, you may continue sponsoring your child for as long as your child remains in the program. Many sponsors enjoy staying in touch over several years. ARE YOU READY TO CHANGE YOUR LIFE AND THE LIFE OF ANOTHER? CLICK HERE TO BEGIN THE JOURNEY.